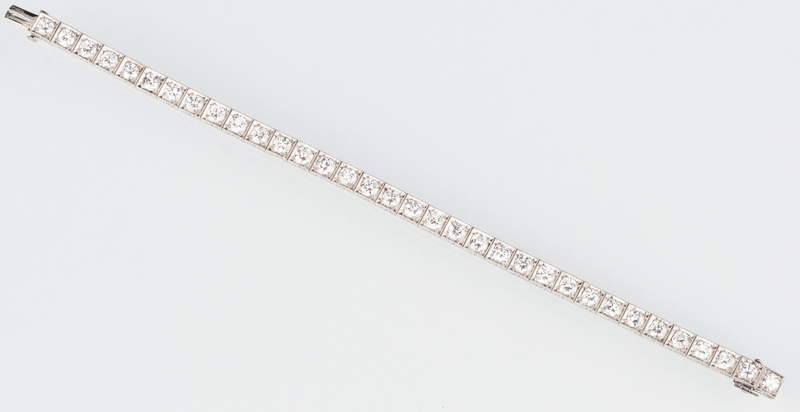 Lot 54: Marcus and Co. Diamond Bracelet, 6.8 cts. 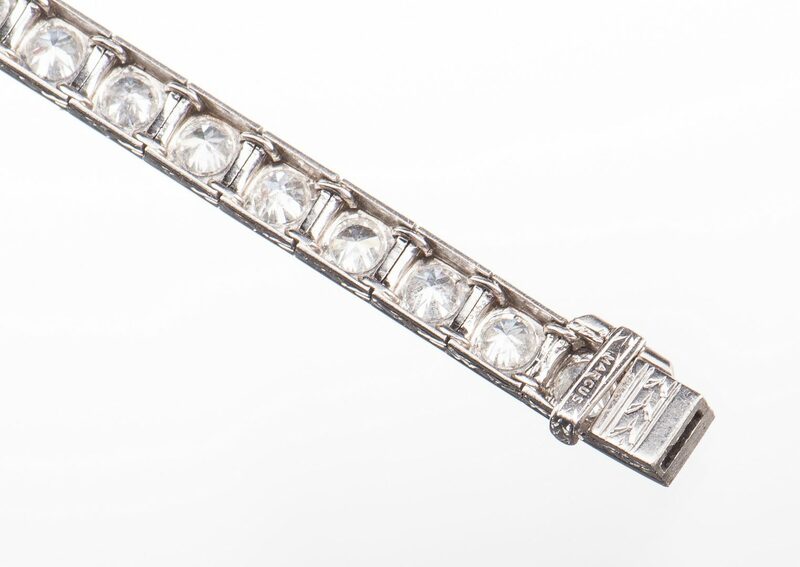 You are here: Home >> August 5, 2017 Historic Summer Auction >> Lot 54: Marcus and Co. Diamond Bracelet, 6.8 cts. Marcus & Co. platinum and diamond line bracelet containing 34 transitional cut diamonds with a total weight of approximately 6.8 cts., approximately VS2-SI1 clarity and H-I color. 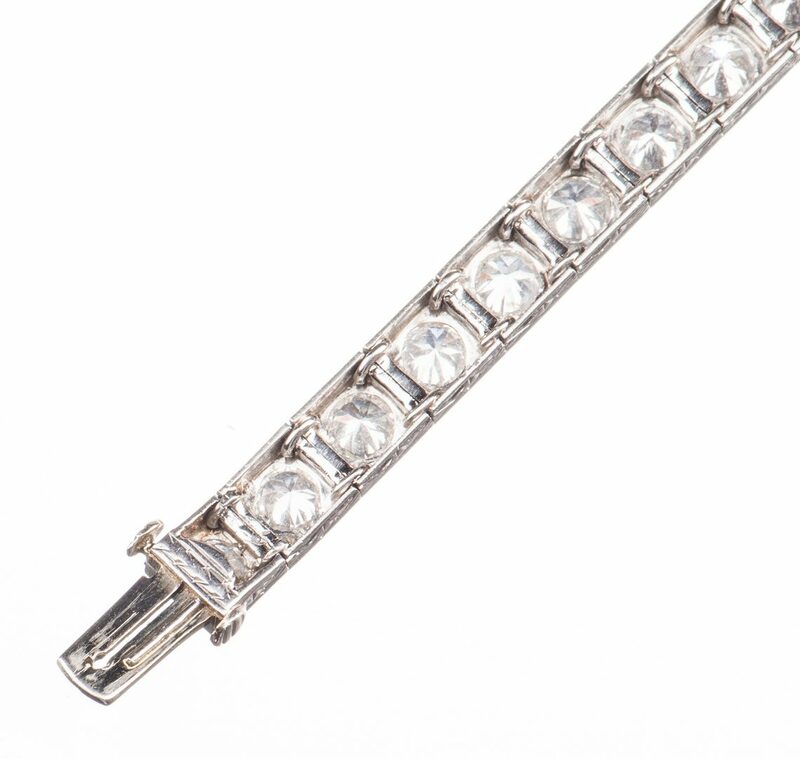 Mounting made of square links, fine milgrain detail framing each diamond and sides with Art Deco style sunburst design. Marked Marcus 50860 on clasp, 7" L, 19.8 grams. Circa 1925. Provenance: Nashville, Tennessee estate. CONDITION: Very good condition.